A Florida Democratic mayor was removed from office Friday and was charged with corruption charges. Gov. 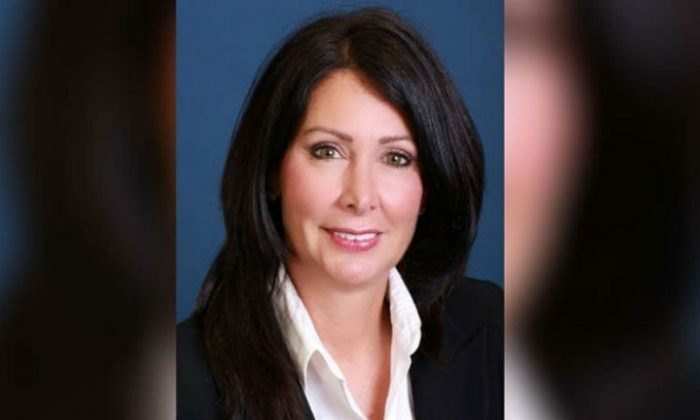 Rick Scott said he suspended Hallandale Beach Mayor Joy Cooper one day after her arrest on three charges, ABC affiliate Local10 reported. She faces charges of money laundering, official misconduct, and exceeding limits on campaign contributions. Cooper, 57, also faces charges with soliciting of contributions in a government building, which is a first-degree misdemeanor offense. “Joy Cooper is prohibited from performing any official act, duty or function of public office; from receiving any pay or allowance; and from being entitled to any of the emoluments or privileges of public office during the period of this suspension,” the governor’s order said. Namely, Cooper is accused of accepting illegal campaign contributions via former attorney Alan Koslow, according to the Sun-Sentinel. In one incident, Koslow was handed a Dunkin’ Donuts bag filled with $8,000 in cash by undercover agents in August of 2012, court documents have alleged. Koslow allegedly told undercover agents that he “had the vote of the mayor” and could influence the city commission, the paper reported. Agents met with him and Cooper over several months in 2012 and recorded their meetings. Koslow didn’t become aware that the undercover FBI agents were just that until August 2013 when they confronted him in a hotel room in Fort Lauderdale, according to the paper. “Alan Koslow showed Mayor Cooper a number representing a proposed contribution and asked her if it was a good number. She replied ‘No. Add a zero.” Koslow confirmed ‘Three zeros, is that fine?’ and Mayor Cooper replied ‘Yes,’” according to an arrest document. Local10 reported that an undercover agent once met with Cooper at the Flashback Diner and said the contributions to Cooper’s campaign would be via checks with a “bunch of Russian names” on them. Koslow then told an agent that he handed Cooper 20 checks at a Hallandale Beach Chamber of Commerce fashion show. Cooper’s attorney, Larry Davis, told Local10 that the state’s attorney’s office made a mistake for relying on Koslow’s testimony, while pointing out that he was sentenced to one year in federal prison. Cooper was out of jail on Thursday night, and she said she’ll “vigorously” fight the against allegations. In a statement, she also said that “I have dedicated my time and energy to focus on performing all of my duties with utmost integrity. “My mom will be vindicated, I’m sure,” Cooper’s son also told Local10. Koslow said in a sworn statement in November of last year that said he participated in the events that were listed in the arrest affidavit, according to the Sun-Sentinel. Vice Mayor Keith London will now serve as the acting mayor of Hallandale Beach.